« Exciting May Specials from SU! My friend Simone scrapbooked at my house today. She completed this beautiful layout of her adorable children, McKenzie, Blake and Fletcher. This photograph was captured sitting on their back fence looking out over the surrounding paddocks. Isn’t this layout sensational. Just another view of this gorgeous page. The sun is fading fast in the afternoons at Tenterfield at this time of the year, so light was a bit of a bother. Sorry! See fabulous page and not a lot of product used either. Bargain! Simone, I am a scrapper at heart and I would say that I am a clean and simple scrapper. As such, I think your LO is perfect. The DSP that you have used is great and the feeling that the bird in the nest somehow portrays the fact that the bird is you (mum) and the kids are still in the nest comes through (not sure whether you meant that or not). I love this DSP and have just started cracking into it, but I think I might scraplift elements of your LO. Well done. Wow, Simone, your layout is completely stunning. Thanks for sharing this, Jacqui, I’m totally sold on this DSP now! Beautiful. And a gorgeous photo, too, Simone! Simone I just love this layout!!! 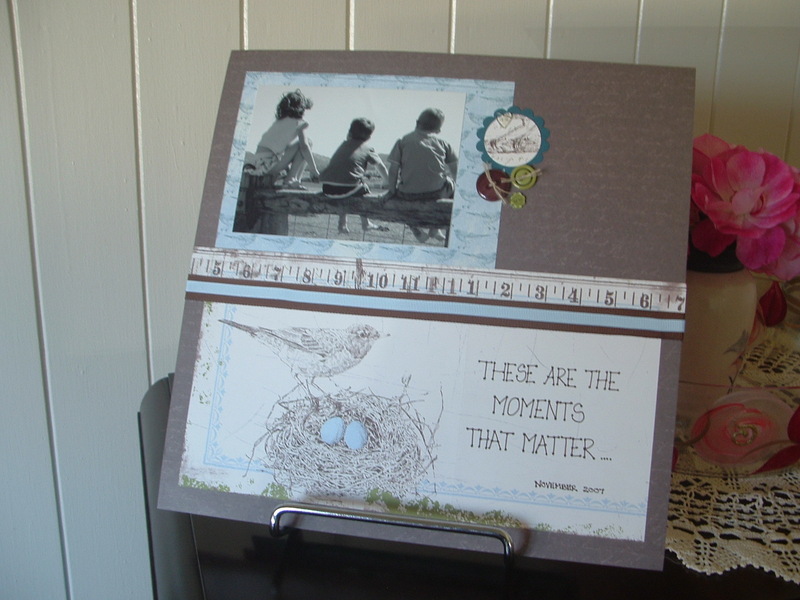 Great to see how you combined stamping with traditional elements on the page. Love the colour combo too. This is beautiful – – the picture, the DSP,the colours, the balance – – everything is just right. 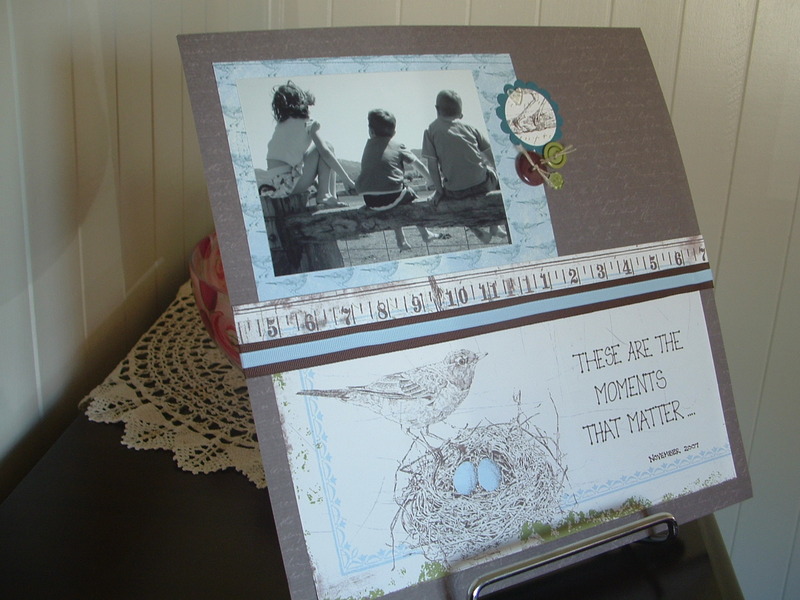 Just delightful Simone……you have captured the peace and tranquility and ‘nature’ of the photo beautifully with your layout…..well done lovey!!!! A gorgeous layout by a gorgeous lady. Love ya Simone.